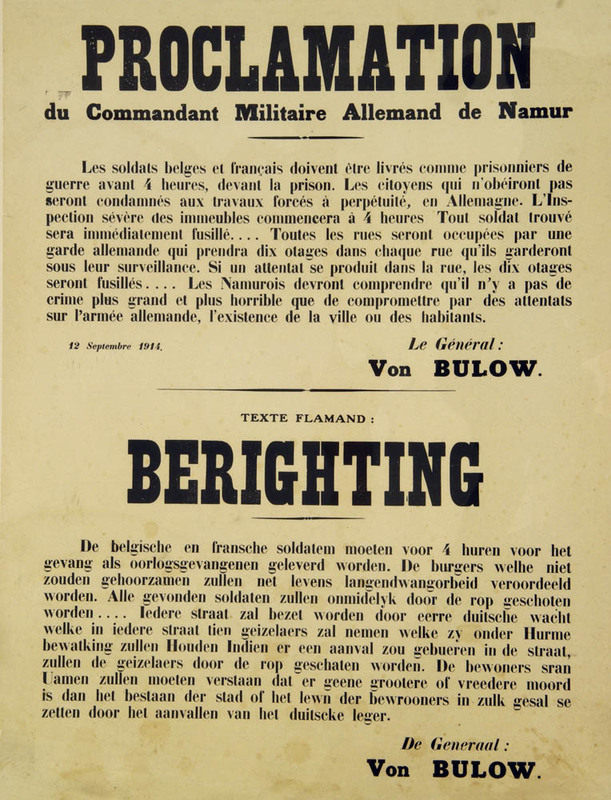 "Proclamation du Commandant Militaire Allemand de Namur. Les soldats belges et français doivent être livrés comme prisonniers de guerre ... 12 septembre 1914. [signed] Le Général von Bulow. Berighting". Poster in French and Flemish. Belgian and French soldiers should be turned over as prisoners of war. Each building will be searched and soldiers found will be shot. Hostages will be taken. Namur had been occupied since August 24th after the famous battle of Charleroi.